Betony plant is a rhizome based and produces reddish purple flowers in late spring or autumn. Ancient Egyptians utilised this plant as a medicinal herb. Leaves were one of the traditional ingredients in the witches’ brew of the middle ages in Europe. Folk use as a remedy for anxiety, gout, headaches and rheumatism. External use of leaves as a poultice for bruises and wounds. Betony plant is native of Europe and prefers light to medium, well drained soils in an open, sunny position. Frost resistant but drought tender. A perennial ground cover, growing to 0.6 m x 1m. 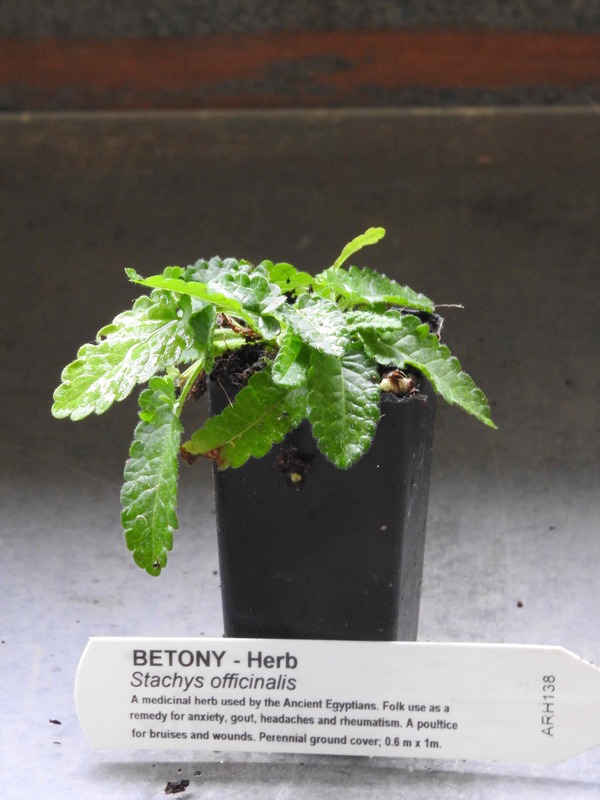 Be the first to review “Betony, plant” Click here to cancel reply.